I get what you're thinking, Google is one of the largest search engines and content aggregators on the planet so it would make sense for them to provide a Google Stock Images service, right? Read on to find out why that's not the case, why you shouldn't be using images from Google in your works and find out about some great alternative places to grab all the stock images that you need! So, Can I Use Google Stock Images In My Work? As a content aggregator -someone who collects web content from different sources- Google doesn't actually own the majority of the content you can find through their services. What this means is that they don't have the legal rights to the content in order to resell or licence it to anybody else, including you. And using images you find on google without a licence could quite possibly end up getting you into a whole heap of trouble. Not least could you face potential legal action due to copyright infringements from the original creator, owners of any copyright material within the image itself (such as buildings, locations and more), the models or any company or person that has purchased exclusive rights to use the image in question. This could leave you paying out fines in the ranges from the hundreds, to the hundreds of thousands of dollars for using the image without permission. On top of this you may also be liable for any potential damages that the legal owners claim for. And of course this will certainly create issues with your current and any potential future clients. In short, purchase your stock images from a reputable company to ensure that you have a legal license to use the content. It's better to be safe than sorry! 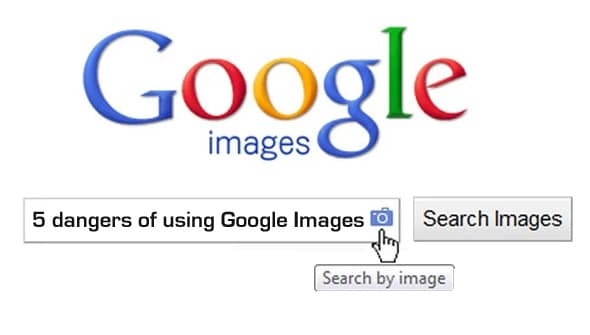 For more details, read our full article on the dangers of using images from Google in your work. So Where Can I Get the Stock Images I Need? The internet is littered with sites offering Stock Images, some of them more reputable than others but below you'll find our 6 favourite Stock Image Agencies, in no particular order, with links to their full reviews and special deals! In short, Shutterstock is one of the well know stock photo agencies in the industry, excelling in the microstock model: they offer Royalty Free images –a collection of 95 million of them!– at very low prices. Shutterstock pricing plans and licenses, huge library and the great quality and variety in content is responsible for their popularity and the reason why you can't search for stock photos without at some point bumping into them. Check out our in-depth review of Shutterstock here! And grab your discount coupon codes right here! Check out our full iStock review over here! And get your money off coupons right this way! Why not grab some great stock images directly from us? 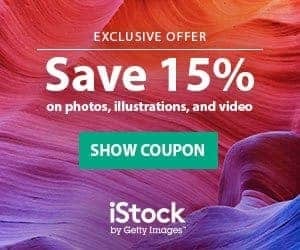 The Stock Photo Secrets Shop comes with a library of nearly 4 MILLION extremely high quality stock photos, vectors and fonts to choose from when you sign up to one of their subscription offers! First we have our great Monthly Subscriptions, starting at 25 images a month for just $35, and enabling carry on of unused downloads up to three months. Get details on our monthly plans here! And even more affordable is the fantastic 99Club, offering 200 XXL downloads for only $99! You can read more about 99Club here! And with this awesome rebate code, you can add an extra 10 images to either subscription! 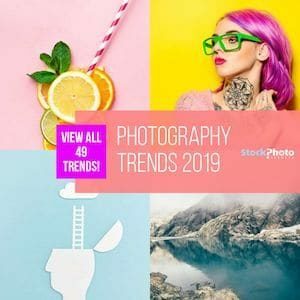 Photocase is an awesome German stock photo agency that's been in the business for over 15 years specialising in the kind of imagery that is top trend today: authentic, artistic, “non-stocky” stock photos. This is a place for high end stock photography and unique stock photos you will not find anywhere else. Check out the full review here, or head this way for 3 FREE Credits and 25% OFF on your first purchase with Photocase. Adobe Stock, if you use Adobe Creative Cloud applications, or if you’re looking for images to use in your designs safely, you will likely come across the name more than once. Adobe Stock comes with various subscriptions and price points that you can read about in detail in our full length review over here! And while your at it, why not read our article here to find out how to get a whole month free, that's ten free images! Starting out in the Ukraine before moving to the United States, Depositphotos is an established stock photo agency that offers a wide and very varied catalog of stock photos, vectors and more, at very cheap prices and convenient buying options. Read all about DepositPhotos in our full review right this way! And while your at it, check out our article right here to find how you can get 5 free images and save 15% on your first purchase! Is There Any Use in Google Images for Stock Photo Search? In fact, there is. Nothing stops you from going to Google and search for licensable stock photos. And it's a good way to find stock images from multiple agencies at the same time. Just remember you cannot, CANNOT “right click and save” any of those images to use in your work. Hit the “Download” or “Buy” button and follow the easy process to register and purchase the image. So there you have it. Google does not sell stock images, but it is useful to find them for sure. 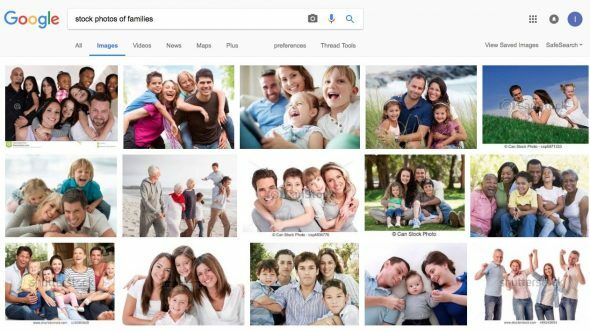 As long as you understand you cannot get any image from Google directly (neither for free nor paying for it), you can use it to search for stock photos. When it comes to getting the images you want for your work, you must stick to legally safe stock photos, which you can buy at any of the above listed agencies at super low price, and best of all is it will only take you a few minutes to purchase and download any image you choose. Like this, you will secure images for your designs that are both professional quality and perfectly legal to use. Did this article help you out? Maybe you have a question, comment or would like to help me add to the list? Drop a comment below and let me know your thoughts!